There are two Indexes and two Rent Ledgers (Volume 4 and Volume 5), which appear to record the leaseholders of the Kenmare Estate for the town of Killarney. Volume 4 generally covers the years 1874 to 1881/2. Volume 5 generally covers the years 1885 to 1894. If you wish to browse either Index, please do so by means of the two Index links to the right. 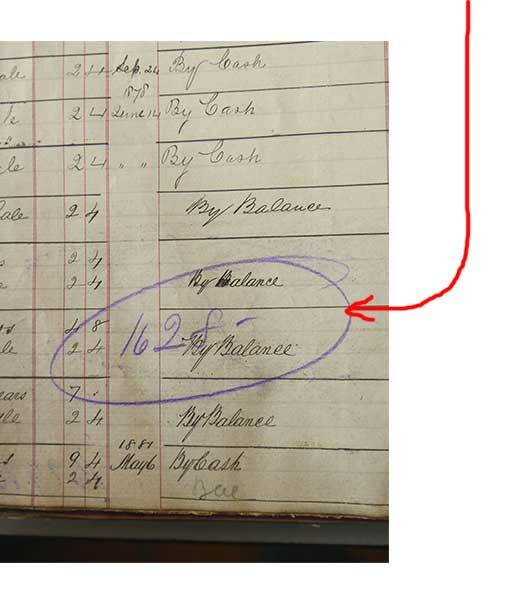 If you wish to browse either of the Rent Ledgers, please do so by means of the two Rent Ledger links also to the right. Alternatively, two Searchable Databases have been constructed for Volumes 4 & 5 of the urban & rural tenancies. They serve as a convenient means of accessing the data contained in Rent Ledger Volume 4 & Rent Ledger Volume 5. A Double Click on the relevant page entry of the database will bring you directly to the correct Ledger entry. Please note that the database holds more surnames than the actual Index. This is because the information in the Rent Ledger was often corrected or annotated without reference to the Index. Unfortunately, many of these corrections were entered in pencil and are therefore often faint and barely legible. There are 3 steps involved in retrieving information from the rent ledgers. Step 1. Please search for the tenant's Surname in the relevant alphabetical index. This will provide the street address of the tenant’s property, together with the relevant Rent Ledger and page numbers. Step 2. Then use the information provided in the Index to access the relevant Rent Ledger (either Volume 4 or Volume 5). Please search under the first letter of the Street Name to access the relevant page numbers as highlighted in red in the example below. 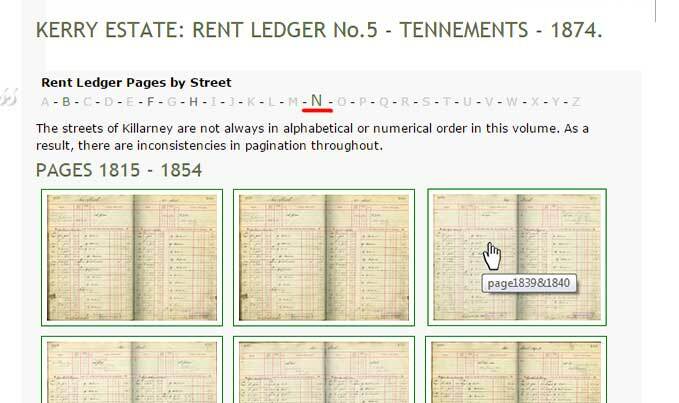 A scrawled number within a circle on the page of the Rent Ledger usually indicates that further rental information is available at that page. 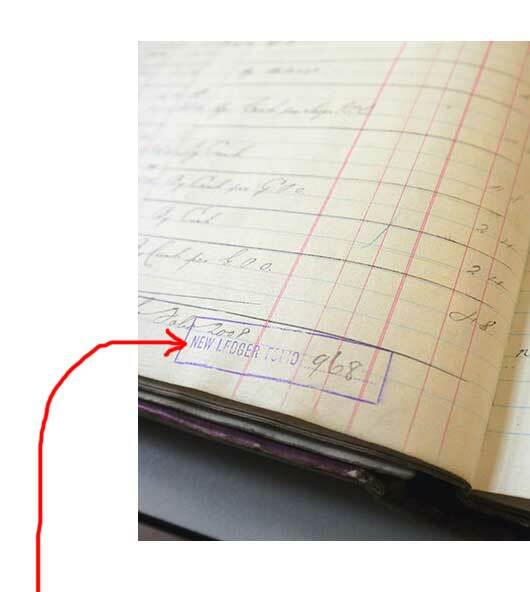 A rectangular rubber stamp at the end of a Rent Ledger page indicates that the rental history was continued elsewhere in yet another ledger. (Please be aware that this library does not hold the complete set of Rent Ledgers for the Kenmare Estate).